eady made and on the shelf stock labels are available to match a wide variety of your sticker and labeling needs. 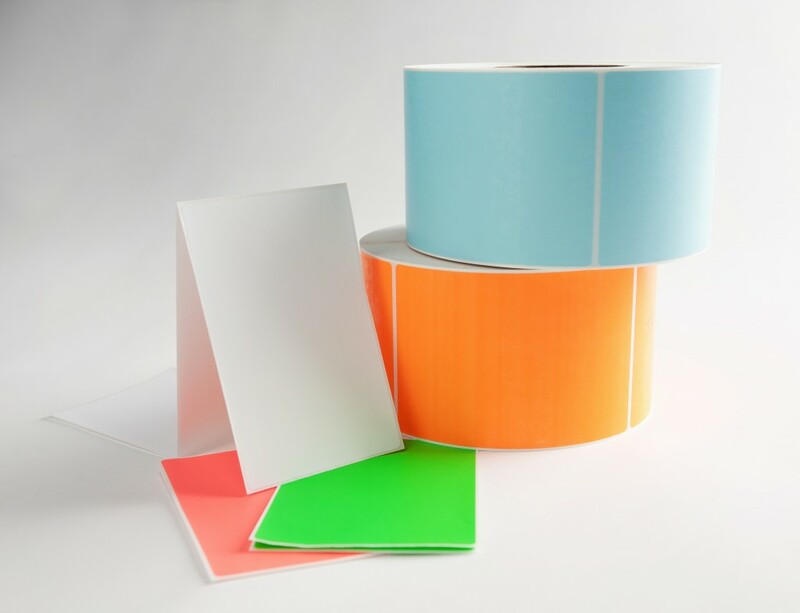 Thermal Transfer labels in a wide variety of sizes. In rolls or flat pack and fan folded we have the label and size to meet your requirements. We stock Direct Thermal (no ribbon required) and Thermal Transfer along with the required ribbon for every printer on the market. Our stock thermal products come in white as well as several varieties of full color and tint PMS inks for easy identification and viewing. Looking for sheeted Laser Labels, yes we stock those and available to match many of the stock Avery print formats and laser printer formats that are popular in today’s market. Our labels are guaranteed to fit standard formats and provide excellent feed ability for your laser and copier printers. If you are in the market for EDP or Continuous Pinfeed Labels we have these labels ready and waiting in a wide variety of single and multiple labels across that will satisfy your data processing needs. We manufacture and stock one of the largest libraries of different shapes, sizes and formats of stock labels and have been doing so for over 45 years. If you don’t find what you are looking for or need a stock label with a different substrate or adhesive just ask. We will create a label to meet any need; you can count on your team at Davis Print & Packaging.